This fitting is used in first fix to screw to the stud of a wall frame for fixing of an inlet plate to later. Connection of this to the pipework is generally with a short 90 bend and possibly a 45 degree bend as well to ensure the pipework is straight as usually you need to drill away from the stud a bit for the pipe to avoid nails in the noggins. 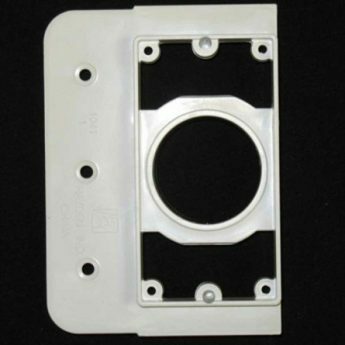 Designed to fit most inlet plates available but is especially suited to the Vaculine inlets that we sell.